Paris (AFP) - Loss of coral reefs around the world would double the damage from coastal flooding, and triple the destruction caused by storm surges, researchers said Tuesday. Coupled with projected sea level rise driven by global warming, reef decline could see flooding increase four-fold by century's end, they reported in the journal Nature Communications. Without coral to help absorb the shock, a once-in-a-century cyclone would wreak twice the havoc, with the damage measured in the tens of billions of dollars, the team calculated. 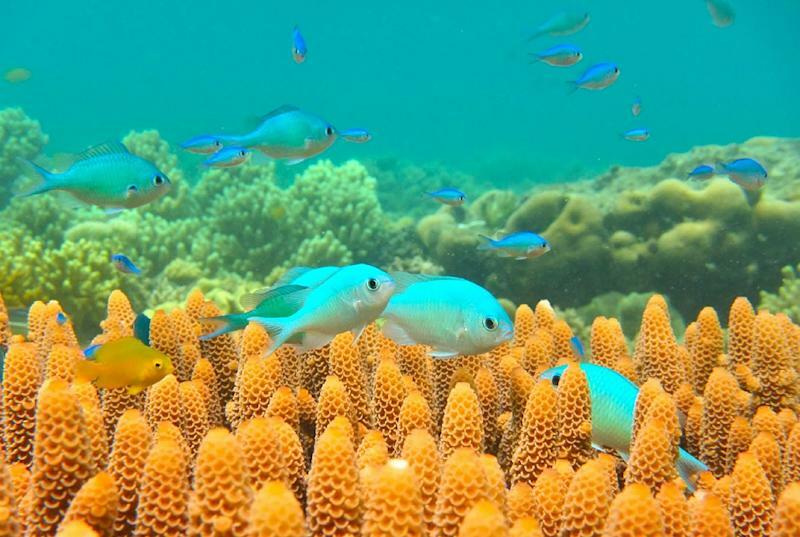 "Coral reefs serve as natural, submerged breakwaters that reduce flooding by breaking waves and reducing wave energy," said Michael Beck, lead scientist at The Nature Conservancy research and environmental group, and a professor at the University of California in Santa Cruz. "Unfortunately, we are already losing the height and complexity of shallow reefs around the world, so we are likely already seeing increases in flood damages along many tropical coasts," he told AFP. Not all coral reefs are declining, and reefs can recover from bleaching, overfishing and storm impacts, Beck noted. "But the overall pattern of signficant losses across geographies is clear." Much of the world's 71,000 kilometres (44,000 miles) of coastline with shallow reefs -- concentrated in the tropics -- has been decimated by coastal development, sand mining, dynamite fishing and runoff from industry and agriculture. A marine heatwave in 2016, for example, killed off nearly 30 percent of Australia's iconic Great Barrier Reef. Damage from yet another bout of destructively warm water in 2017 has yet to be assessed. 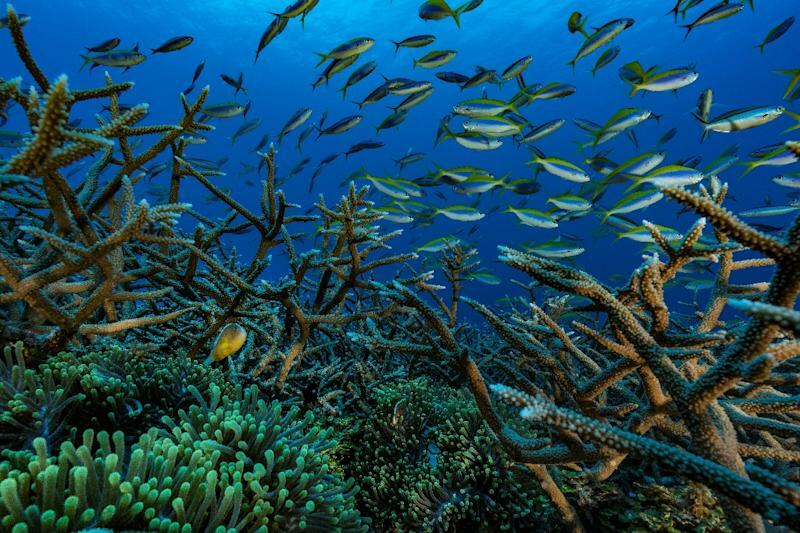 Global coral reefs risk catastrophic die-offs if Earth's average surface temperature increases two degrees Celsius (3.6 degrees Fahrenheit) above pre-industrial levels, earlier research has shown. The 196-nation Paris Agreement seeks to cap global warming "well below" that threshold, but the planet has already warmed by more than 1 C.
Combining coastal flooding and economic models, the new study calculated -- country by country -- the value of coral reefs as a barrier against storm-related wreckage. Globally, seaside flooding is estimated to cause nearly $4 billion dollars (3.4 billion euros) a year in damages. With the erosion of the top metre (three feet) of coral reefs worldwide, that figure rises to $8 billion, Beck and his colleagues found. "The topmost living corals will die and can break off very quickly," said Beck. The countries most at risk from coral reef loss are Indonesia, the Philippines, Malaysia, Mexico and Cuba, each of which could avoid $400 million in damage per year if reefs are maintained. Saudi Arabia, the United States, Taiwan and Vietnam would also become significantly more vulnerable to flooding with severe coral erosion. 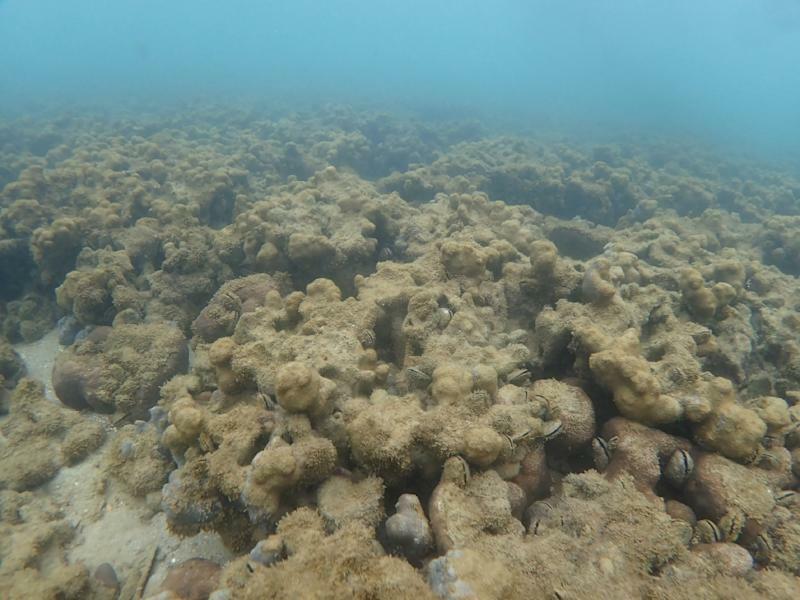 "When we consider the devastating impact of tropical storms in just the past few years -- Hurricanes Irma and Maria, Typhoon Haiyan -- the effects would be much worse without coral reefs," Beck said. The study adds to a growing body of research seeking to calculate the monetary value of assets and services -- long taken for granted -- that Nature provides us for free. Mangrove forests, for example, also protect against storm surges and serve as nurseries for dozens of aquatic species. They are disappearing at the rate of one-to-two percent per year, scientists say. Likewise, bee populations that pollinate tens of billions of dollars worth of crops each year are collapsing.